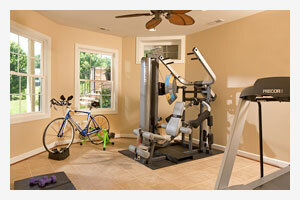 There are endless options for basement remodeling ideas, including gyms, offices, dens, laundry rooms and more! Maryland winters can be cold, and your basement most likely is too. Maybe it is used primarily for storage, or maybe it is just an unattractive, empty space. A professional basement renovation can turn your basement into a warm, comfortable, and enjoyable space for you and your family to make the most of. Remodel your basement and turn it into a great spot for an entertainment room that will not be too loud for the rest of the house, or a nice private space for a guest bedroom. You can also simply ensure that your space is energy efficient - there are many ways in which a professional basement remodeling project can bring value and utility to your home. The professionals at Starcom Design/Build can help you get started with unique basement remodeling ideas that fit your specific needs. We use only the highest-quality products on all of our jobs. 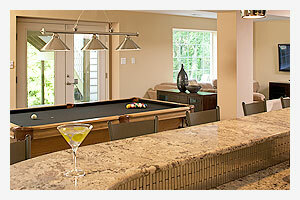 Trust our remodeling services to transform your home! Please contact us today to get started! We serve customers in Columbia, Silver Spring, Rockville and areas nearby.